Update: Sprint has confirmed to Android Central that a report on Geek.com stating that the carrier has asked all handset manufacturers to remove Carrier IQ from their handsets is incorrect. At the same time, Sprint spokeswoman Stephanie Vinge-Walsh says that the carrier has disabled Carrier IQ and data is no longer being collected. The fallout from the Carrier IQ "scandal" is continuing with Sprint revealing that it told Senator Al Franken in a letter mailed Wednesday, that 26 million of the carrier's handsets have Carrier IQ installed. Franken is the Chairman of the Subcommittee on Privacy, Technology and the Law and has requested more information from carriers and manufacturers on the data collecting software. Besides Franken's Subcommittee, the FCC and FTC are investigating Carrier IQ for privacy violations and for "unfair or deceptive" practices towards consumers. Sprint has told the Senator that the tool helps its engineers figure out how well apps connect with the Sprint network. The carrier added that only 5% of the 26 million active devices, or 1.3 million phones, are returning data at any given time and that number drops to 30,000 units for certain research information. 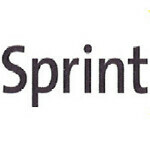 In a telling statement from Sprint, hidden away in a footnote on its introductory statement, is the comment that in order to be a carrier, Sprint needs to know which cell site you are using, the numbers you call and text and the web sites you visit. The statement reads, "Similarly, we know the cell site on which a phone is registering its location, which is necessary for the delivery of voice and data services. We also know the telephone numbers to which our customers initiated a call or sent a text. Such data is necessary to deliver communications services. In many cases the data collection is required by law and regulations." 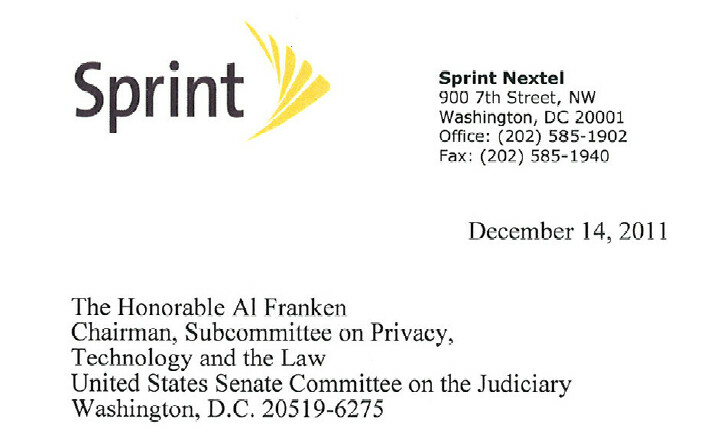 In its letter to the former comic turned politician, Sprint says any information collected is not shared with third parties and is merely used internally. However, while certifying a device prior to selling it to a customer, Sprint shares data with phone manufacturers. Thisd is done before the phone is purchased by a Sprint customer, so no data of a personal nature is passed along. Any collected information is kept on the Carrier IQ servers for 35 to 40 days while other info might be kept on the carrier's servers for as long as 6 months. Despite receiving information from a number of players in the industry, Franken says he remains troubled and doesn't like what he has heard so far. One hopes that Sen. Franken asks the followup question - not "are you sharing the information with a third party" but "given your current terms of service, could you share the information with a third party?"